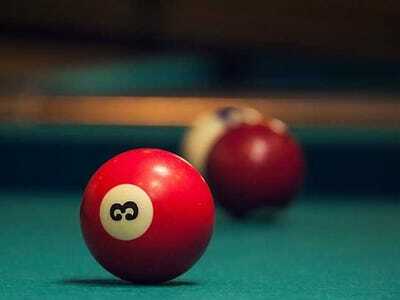 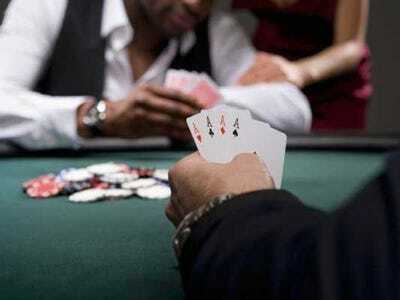 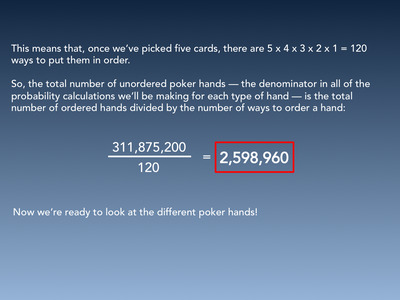 Poker is a fantastic game, particularly alluring to competitive, creative types who love numbers. Business Insider’s Eugene Kim has profiled some of Silicon Valley’s biggest poker fans, and the game is also huge draw with the Wall Street crowd. 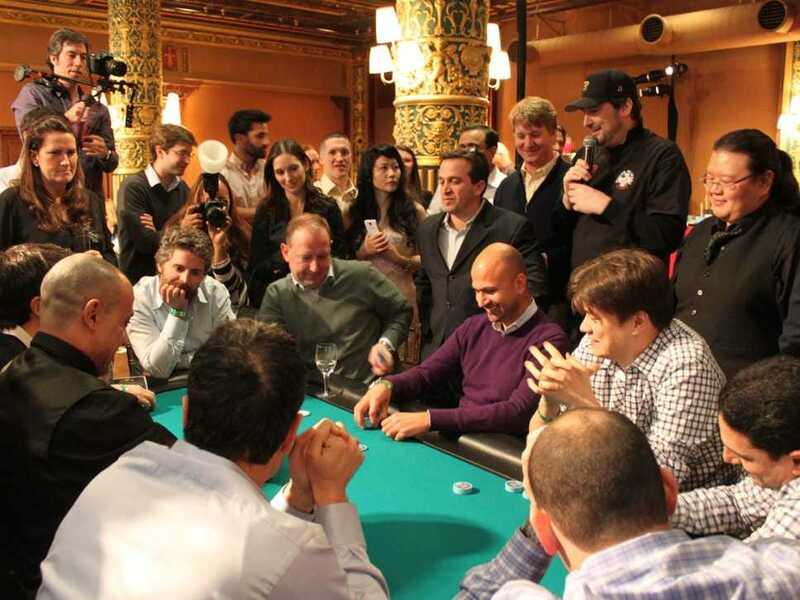 While I’m far from a serious, professional poker player, I do occasionally get a chance to enjoy a game with friends. 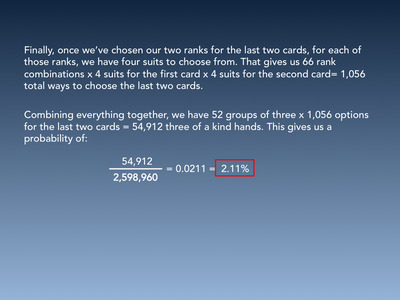 And I also love maths and statistics. 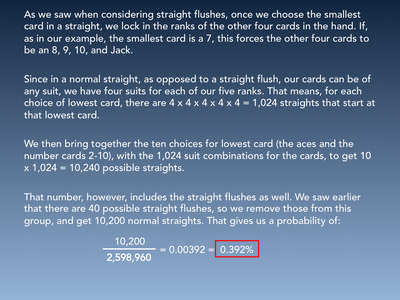 So I decided to look at some of the basic mathematics of the game. 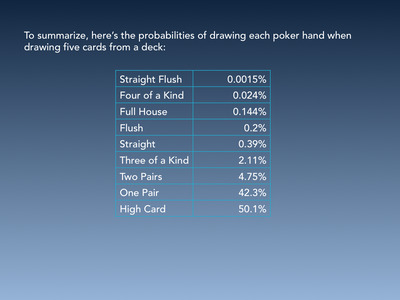 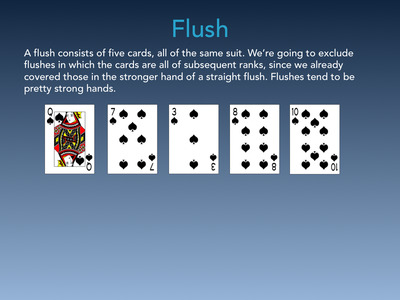 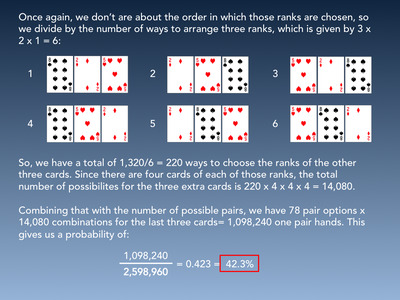 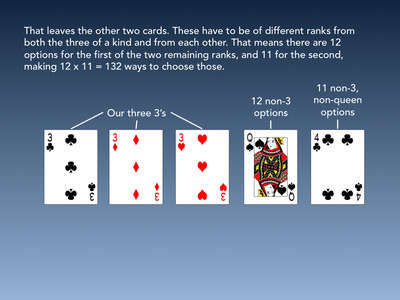 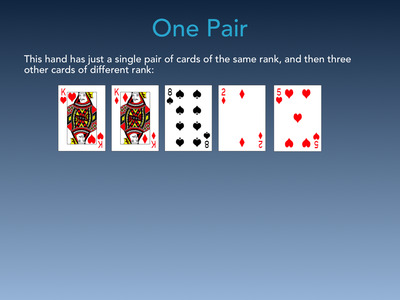 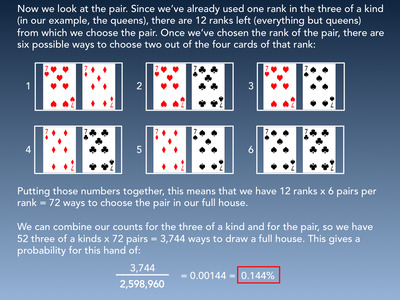 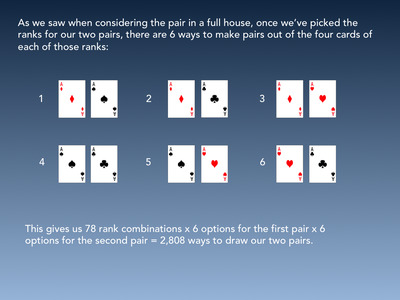 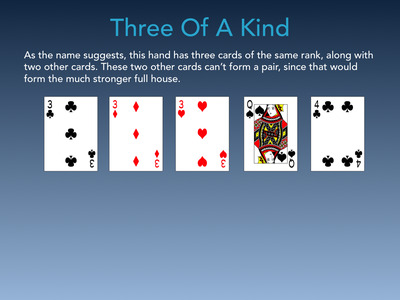 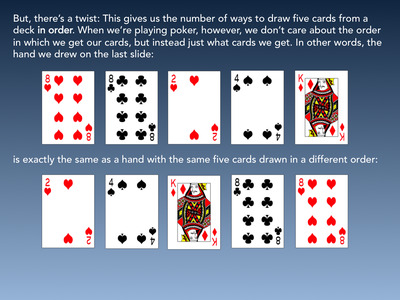 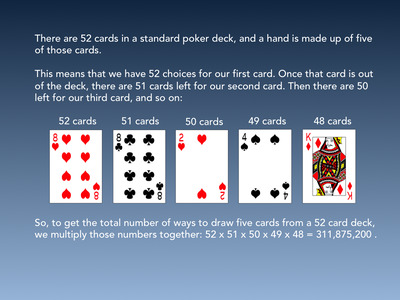 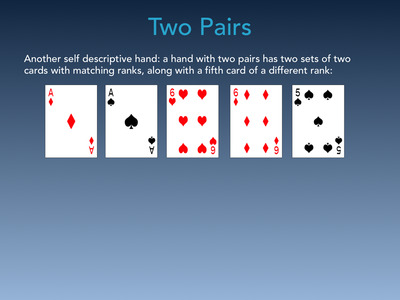 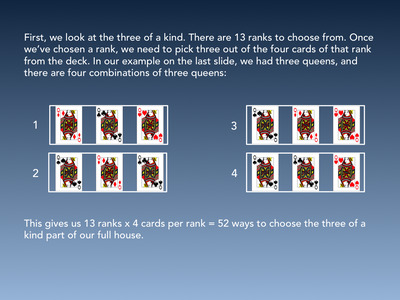 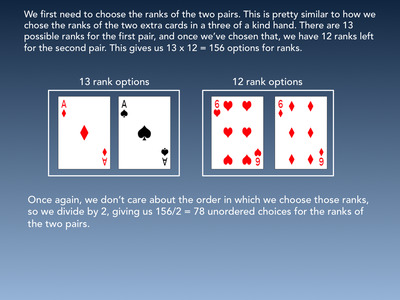 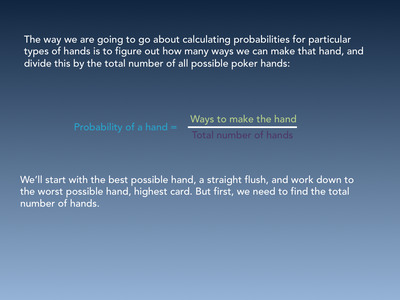 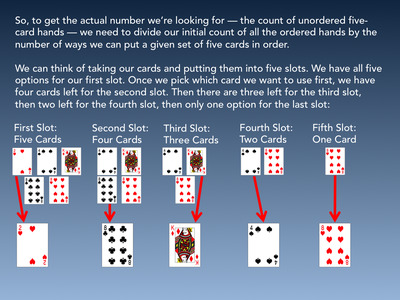 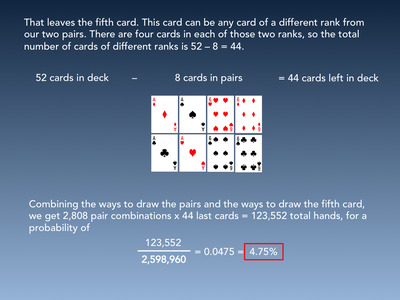 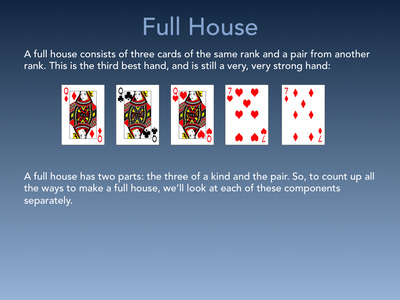 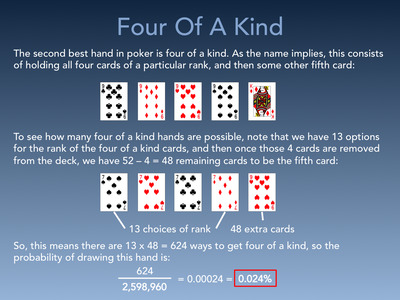 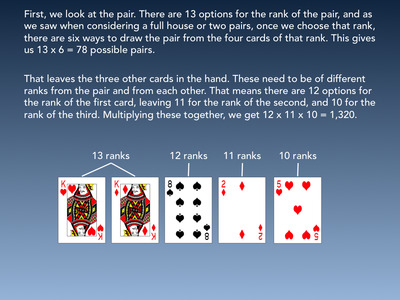 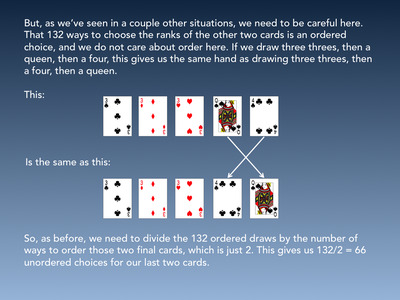 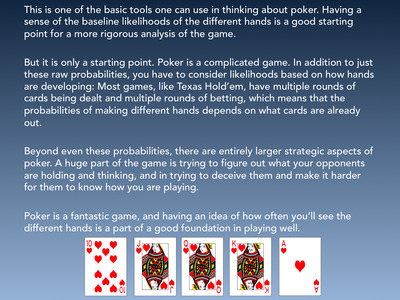 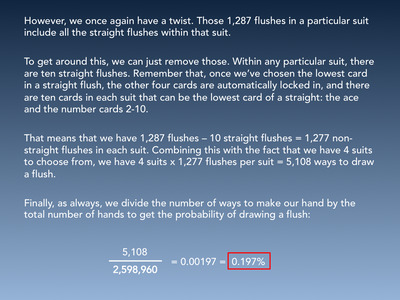 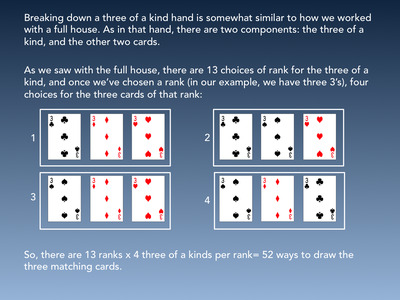 Here, I go through the probabilities of drawing each five-card poker hand from a deck of cards. 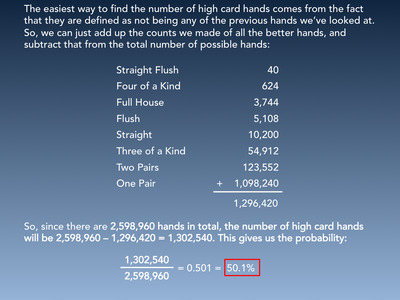 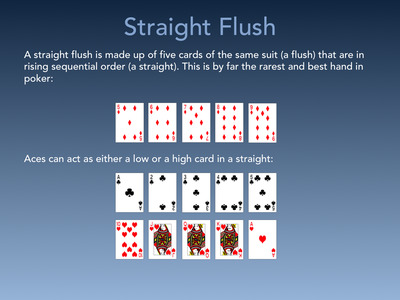 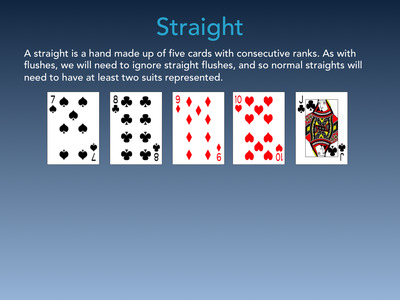 These probabilities are handy to have in the back of your head in a poker game, and they are the reason why hands are ranked the way they are: a straight flush is way less likely than a pair, so this is why the straight flush wins. 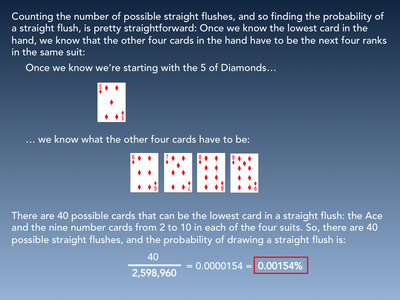 We based our calculations on this article by mathematician Brian Alspach. 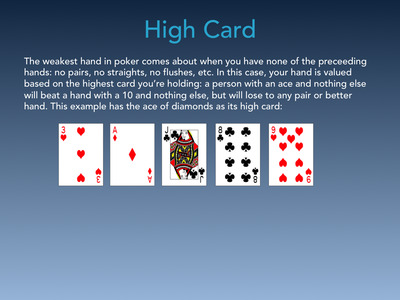 Card images come from this collection by Iron Star Media. 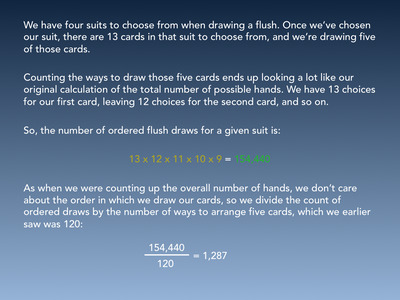 Now check out some more maths!